Hi and welcome to my inaugural newsletter! I'm so happy that you signed up and will be joining me every month. Thank you, thank you, thank you for being the best group of readers a girl could ask for. You guys are all truly amazing! So with that, let's dive in! Also, one of the best things I did this year was subscribe to Spotify. I'm more than slightly obsessed with it a.) because I can listen to pretty much everything for the price of one album a month, and b.) playlists. If you want to follow my playlists (for past and future books) you can find them here. You don't have to pay for the service to access them, but you do have to download the app. A lot of you lovely, lovely readers have been asking what's next and if Adele and Jace are going to get a book. Well, they're what's next and their story will be out December 4th! Adele is gorgeous, funny, and fiery, but she’s also his best friend’s sister, aka, completely off limits. But when the cabin loses power in the middle of the storm, Jace forgets the rules and spends the Christmas days and nights with Adele wrapped in his arms. Once the snow thaws, they’ll call things off, no harm, no foul… if they can agree to keep their hearts out of the equation. I read Crazy Rich Asians in the spring and COULD. NOT. PUT. IT. DOWN. It was so good I can't even begin to express how much I loved it. I got completely and totally lost in the world and I think Kevin Kwan is a genius. That book absolutely gets five out of five stars from me. This summer I started writing An Unexpected Christmas (and got a little bit of tunnel vision) and haven't really read anything since. That is until I picked up The Kiss Quotient by Helen Hoang. I was flying back from New York as I read it and was trying not to cry in my seat. The heroine pulled at my heartstrings from the beginning and I absolutely fell for the hero. Totally recommend it. 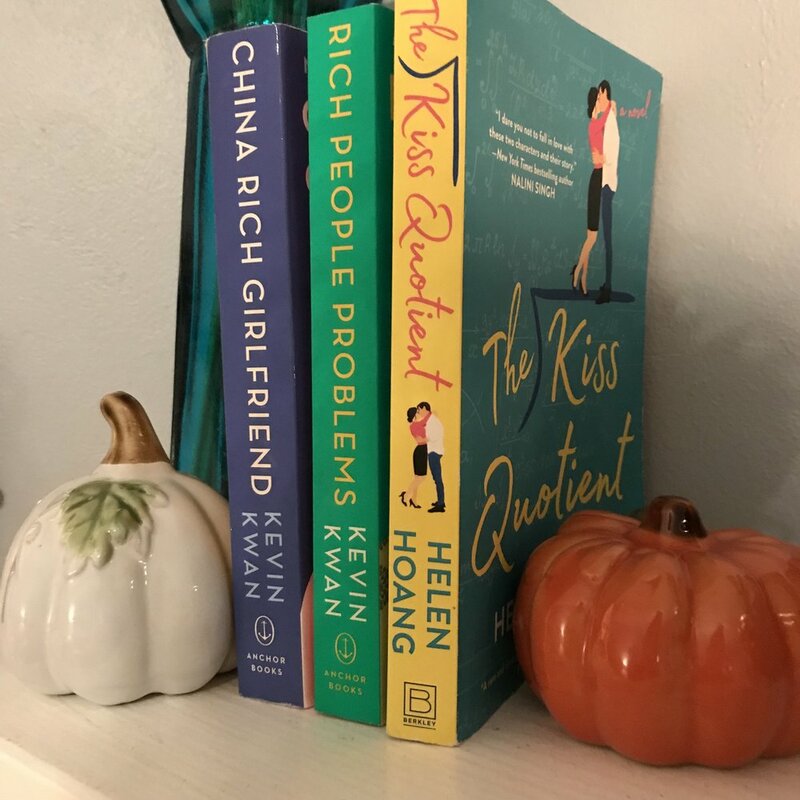 My next book goals are to finish the Crazy Rich Asians trilogy, and I'm a good way through China Rich Girlfriend and loving it almost as much as the book before. 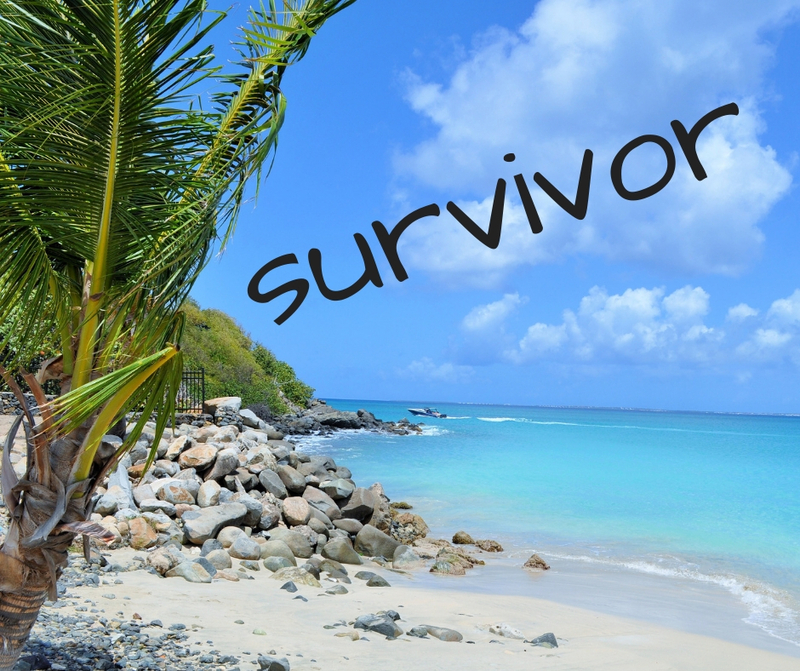 I was in 8th grade when the first season of Survivor aired, and I was a FANATIC. I watched religiously right up until I got to college and messing with the recordings on my VCR (yup, V-C-R) got to be too much. Recently though, I found all of the seasons on Hulu and have been binge watching them from the beginning. It's been about 18 years since that first season premiered and I remembered a lot more than I expected from when it all started. 1.) I still wanted Colby to win season two in the Australian Outback. 2.) I still had a MAD crush on Ethan from the third season in Africa. Also, there is NO WAY I'd be able to hack being on that show. That's for damn sure. Even though I'm not entirely caught up on past seasons (I'm in the middle of season 14), I am watching this new season, David vs. Goliath. I totally cried at the end of the premiere, too. This month I'm giving away a copy of any of my books (print or eBook) to three winners. All you have to do is share my Newsletter on Twitter or Facebook (see the share buttons at the bottom of this email), like my Facebook Page, and/or comment on a recent post. Winners are picked at random and will be announced sometime next week. Print is U.S. only, but Canada qualifies for eBook. As you saw above, I was absolutely in love with the book Crazy Rich Asians and the same held true for the movie. I will admit that I'm a weirdo who is usually pretty pleased with book to movie adaptations (USUALLY, there are a few that have not passed muster). But I adored this movie. I thought the casting was perfect, the world building was brilliant, and the music was excellent. I just loved all of it! It's one of those feel good movies that had me smiling LONG after the credits started rolling. Also, Henry Golding is lovely to look at and my next mission is to see him in A Simple Favor. Another movie I adored this month was To All the Boys I Loved Before which I watched on Netflix. This was my in flight entertainment flying to New York a couple of weeks ago and it made the flight oh-so-enjoyable. It was another one of those feel good movies with excellent acting and a truly endearing story. And the actress who played the heroine? Good gravy, she was amazing. There are tooooooo many TV shows that I want to talk about. So I'm going to go in a list. 1.) The Bold Type: It's been my obsession for the last year and I love it sooooooo. It's a show with MANY strong female leads, but centers around three best friends who work in NYC. Jane, Sutton, and Kat work at Scarlet magazine (comparable to Cosmo). I was sucked in from the pilot episode and haven't looked back. Season two finished airing a month or so ago, and they're already filming season 3. You can stream seasons 1 & 2 on Hulu. ALSO, the music is A-M-A-Z-I-N-G and you can listen to that playlist on Spotify as well (CLICK HERE). 2.) The Good Place: I watched the first couple of episodes of this when it first premiered two years ago, but life got a little in the way, and I got behind. As seasons 1 & 2 are both on Netflix, I decided to binge watch them. I HAVE NO REGRETS. Kristen Bell is absolutely AMAZING and Ted Danson is his own special brand of brilliant. If you want something funny with impeccable story telling and writing, I highly suggest it. 3.) This Is Us: I love this show like whoa and have felt like there has been a Pearson sized hole in my heart since last season ended. Even though this show breaks that very same heart, it still manages to put it back together. I was steadily crying through the premiere. 1.) A Million Little Pieces:I watched the pilot and let me just tell you, I did NOT see the ending coming at all. 2.) Manifest: This one I haven't watched yet, but it's been recommended by a number of people who compared it to Lost...so I'll be checking that out soon. 3.) New Amsterdam: Another one I haven't watched yet, but the teaser pulled me in and I've heard good things. And that's it for a Month in a Week. I'd love to see you around on Social Media to let me know what you're reading, watching, and listening to. Also, I have a new website up and running so take a lot and see what's going on.